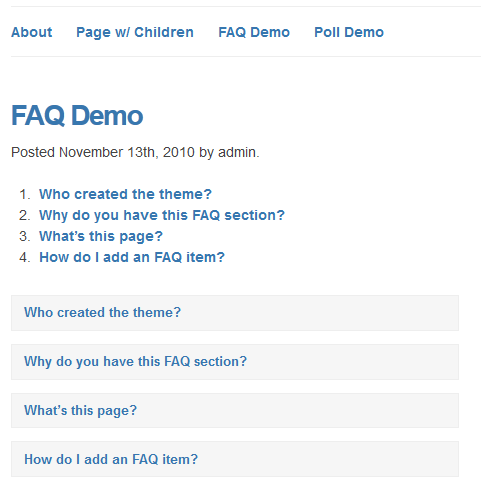 FAQ Manager: a super quality frequently asked questions plugin for WordPress. It uses custom post types and taxonomies to handle the job. 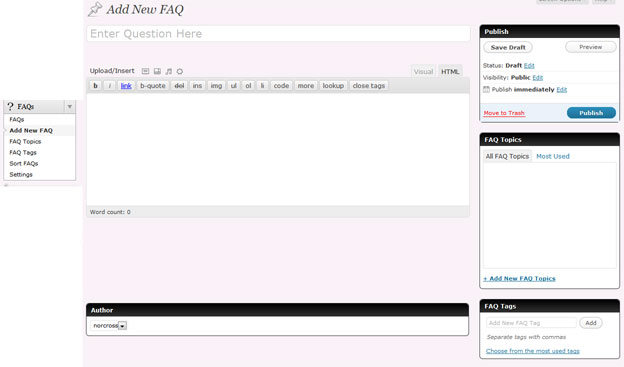 Sugar FAQs: a premium plugin for handling questions and answers. It has 9 color schemes and an AJAXified front-end submission system. Q and A – FAQ Plugin: makes creating, categorizing, and reordering your Q/A items easy. Offers shown/hidden animation too. WP-FAQ: provides you with a Frequently Asked Question area for your website. Text, Audio, Images, Maps, and even Video answers can be added to your page. 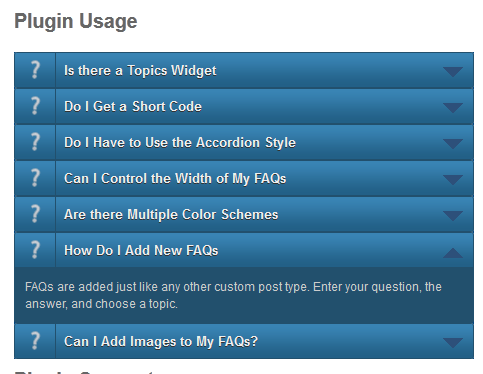 WordPress FAQ Plugin: a premium FAQ plugin which you can use to develop as many FAQ items as you like. You can add it to your website using a shortcode. WP Super FAQ: adds a dynamic FAQ section to your website. 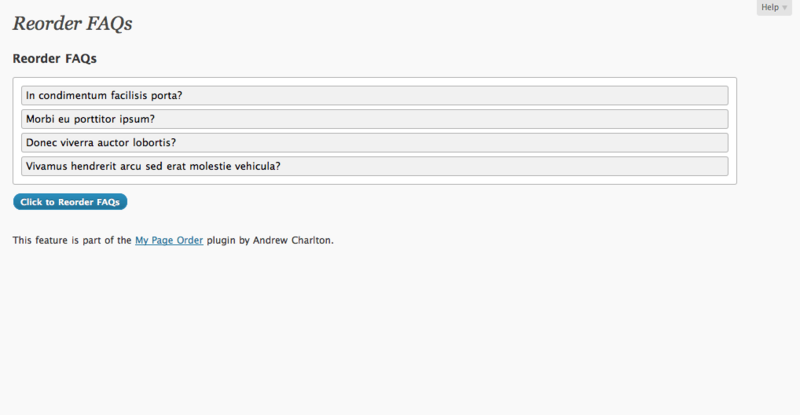 It includes a FAQ shortcode and jQuery animation to show/hide each question. Putting together a well-developed FAQ section can take a lot of time. These 6 FAQ plugins won’t come up with your questions and answers for you but make adding a FAQ page to your website easy.